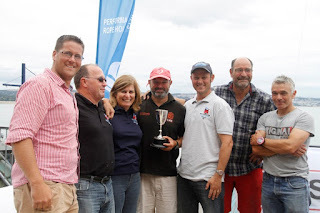 Alex Knight – Musto Skiff National Champion! – and other championship performances: So, while a small sailing (and other sports) event of note has been taking our attention in Rio, in addition to the local sailors performing under Sugarloaf, there have been some performances of note from our own club sailors around our shores. It’s that time of year for the Castle Cove travelling dinghy contingent, with championships galore – and the club name has been appearing regularly, and in lights. rebuild it and they will come?